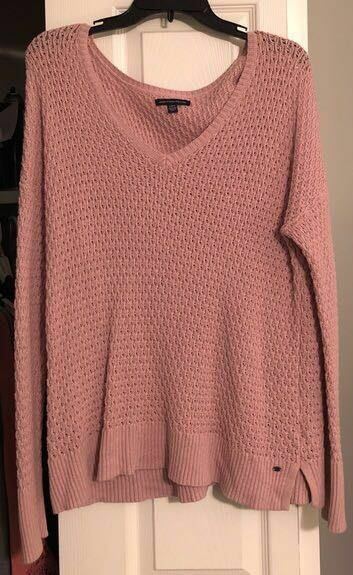 Pink sweater. Worn less than 3x. Use code DISS for 5$ off. Can bundle this with another item since shipping is already over a pound!! Fits good. Long enough to wear with leggings.